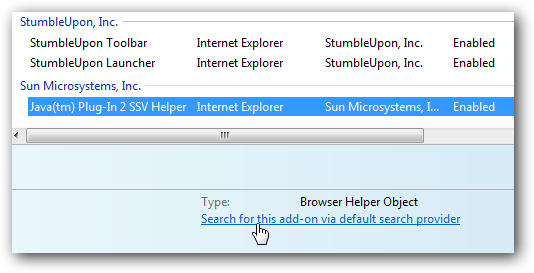 A good way to get more functionality out of Internet Explorer is to install Add-ons. 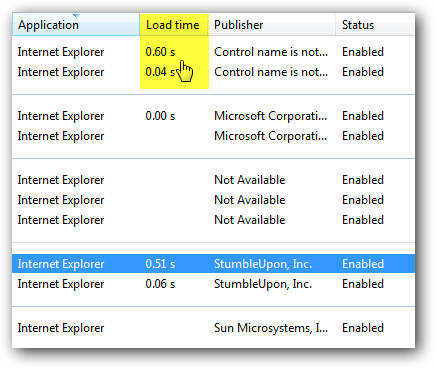 Today we take a look at how to manage them and also determine if they are causing Internet Explorer 8 to launch slowly. 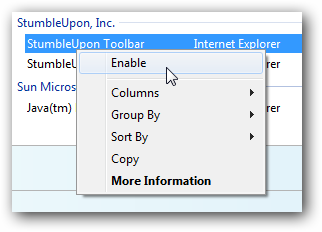 To start managing your IE Add-ons click on Tools and go to Manage Add-ons. 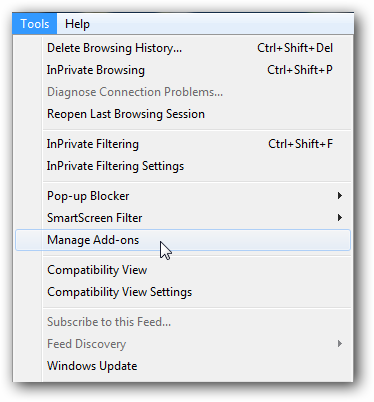 The Manage Add-on screen opens and from here you can do several things like view the Add-ons installed, their status, version, load time and more. Narrow down the information about different Add-ons based on their type. There the ability to search for more information about each Add-on. To make navigation easier they can be easily sorted according do different criteria. 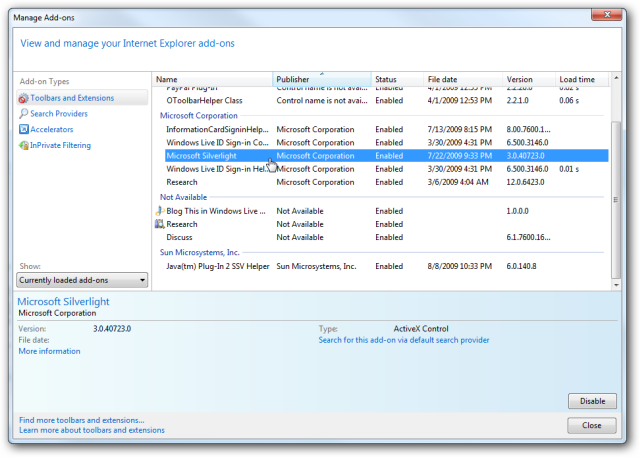 On the lower left side of the Manage Add-ons window click on the link which takes you to the IE 8 Add-ons Gallery. 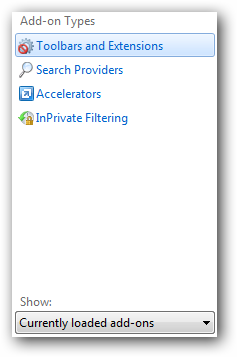 If Internet Explorer 8 starts to load more slowly than normal this is a good place to determine why. 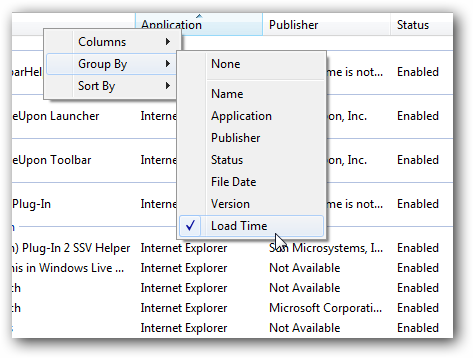 You can view how much time is taking to load under the Load time column. If you find one is taking more than an appropriate amount of time to load you can disable it. 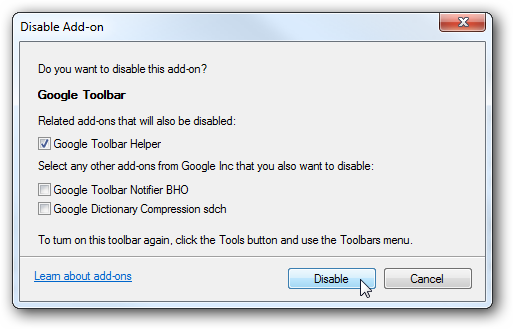 Sometimes other Add-on features won’t work if it one is disabled and you and can cancel the operation if you want. 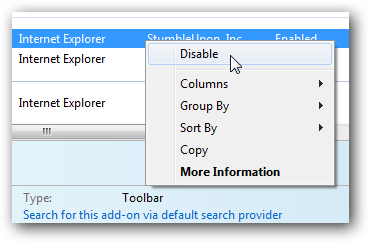 Disabling an Add-on is only temporary and you can easily re-enable one by going back into the list and Right-click Enable. 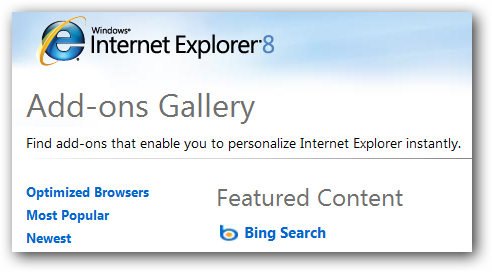 If you haven’t upgraded to Internet Explorer 8 yet, it is included with Windows 7 and this should help you out in managing its Add-ons feature.